An extraordinary debut that explores legacies of abuse, redemption, and the strength of the human spirit–from the Boer Wars in South Africa to brutal wilderness camps for teenage boys. This books delivers two very powerful stories both which are set in South Africa with over a century separating them. 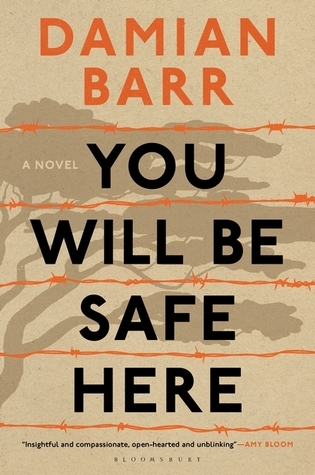 The cover is simple with the words that should reassure, set in between barbed wire, ‘You will be safe here’ but now that I have read this book it makes me so cold and ashamed. I didn’t realise when I began this book that the story set in 2010 had been a true story so what had been a horrendous, intense and a captivating story now became a nightmare that filled me with so much sadness that I had to find out more. Unfortunately this book tells the story very truthfully and yet I had wished it had been more fiction than fact because of what happened. The two stories are joined with a school trip to a museum dedicated to the homestead families during the second Boer war, who had become an embarrassment to the British government when these farmers were holding their own against a much larger trained army of soldiers. Terrible measures were put into force that would cripple the country and leave thousands of women and children forced into ill-equipped concentration camps where the death rate rocketed. Raymond, who this book is dedicated to and his class are given role play cards with people’s names that had been in the camps with snippets of how life was for them and if they survived or died at the end of the war. Raymond had learning difficulties and often became the laughing-stock of his peers when under stress as he had little accidents. Raymond loved his grandmother dearly and she loved him for who he was too. It had always just been him, his gran and mum but his mum had a new man and trouble started between them. Raymond is shipped out to a training camp for difficult boys and things just escalate very rapidly. This is an outstanding book that once I finished would just keep popping back into my mind. The haunting camps, the characters that I got to know, who were also real and Raymond who broke my heart in so many ways. It seems sometimes that be it war or training camps it is a beacon to the psychopaths to crawl out of the woodwork to openly induce suffering in the most vile ways and hide it behind labels. Two very powerful stories perfectly delivered, I won’t forget either of them. Damian Barr is a journalist, writer and host of his own Literary Salon. His first novel is called ‘You Will Be Safe Here’. It will be out in April 2019. ‘Maggie & Me’ is his story of surviving small-town Scotland in the Thatcher years. It won Sunday Times Memoir of the Year: “Full to the brim with poignancy, humour, brutality and energetic and sometimes shimmering prose, the book confounds one’s assumptions about those years and drenches the whole era in an emotionally charged comic grandeur. It is hugely affecting.” BBC Radio 4 made it a Book of the Week. Following Jeanette Winterson in 2012, Stonewall named Damian Barr Writer of the Year 2013. Damian hosts his own Literary Salon at the Savoy. Guests include: Jojo Moyes, Bret Easton Ellis, John Waters, Polly Samson, James Frey, David Nicholls, Colm Toibin,Taiye Selasi, Alex Preston, David Mitchell and Naomi Alderman. He hosts events with the British Council, Hay, the BBC National Short Story Award and the Man Booker. He has taught a Memoir Masterclass for the Guardian-UEA. 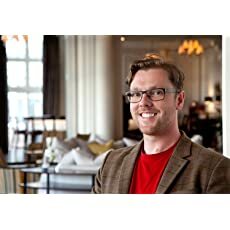 Commended as Columnist of the Year, he has been a journalist for over a decade writing mostly for The Times but also the Independent, Telegraph, Financial Times, Guardian, Evening Standard and Granta. He is currently Literary Editor of Soho House magazine and a columnist for the Big Issue and High Life. His first book, based on his Times column, was published by Hodder in 2005. ‘Get It Together: A Guide to Surviving Your Quarterlife Crisis’ was a bestseller. Damian has also co-written two plays for Radio 4 and appeared on PM, Midweek, Broadcasting House and Today as well as The Verb and as a presenter on Front Row. He is a Fellow of the Royal Society of Arts. He lives in Brighton with his partner and their intensely demanding chickens.